The involvement of the Army in the fight against forest fires is increasing. 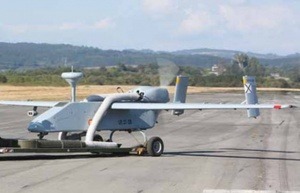 In addition to the EMU and the so-called Operation Sentinel Gallego, the Army collaborates in this mission with the a dron called Searcher Mk.II-J. It is an aircraft with a flying range over 250 kilometers, whose optronics is capable of detecting fires in its first moments. The 300-kilogram-weight machine, with a flight range of 250 kilometers, is capable of flying at a 120 kilometers per hour in the forest areas of the province of Leon and the Bierzo area searching for hot spots. The ‘Searcher’ drone have gone from monitoring the insurgency and obtaining intelligence for the troops deployed in Afghanistan to fighting forest fires in northern Spain. If it detects a heat spot, which may correspond to an uncontrolled stubble burn or a intentional fire beginning, the device automatically sends the coordinates to a control center, and they send them to the emergency services in charge to extinguish it.